John Zmirak, writing over at The Stream, presents an interesting take on the GOP campaign at this stage. Channeling the views of past presidents on American exceptionalism, three basic policy outlooks emerge: the pragmatic nationalism of Donald Trump; the traditional constitutionalism of Ted Cruz; and finally, the idealist internationalism of Marco Rubio. As Zmirak explains, not every quality of character or approach is mirrored between past and present, but the parallels still work to explain the differences each outlook holds. In the first, American “greatness” is achieved without the “Constitutional niceties” of Separation of Powers, civil liberties, property rights, or just war doctrine. Projecting the nation’s economic and military might is paramount to America’s cohesion. “On this view, America is exceptional because it is big and powerful enough to exempt itself from the rules that bind other countries.” Zmirak points out, we’ve seen this outlook before in the ambitions of Aaron Burr and the assertiveness of Andrew Jackson. In the second, American exceptionalism came from the civic culture, an environment “compatible with human flourishing” brought about by Providence, respect for law, and a government of carefully prescribed limits operating by our consent. The expansion of state control is opposed vehemently as it correspondingly subtracts freedom from the lives of people. Foreign policy is recognized from the premise that we are all fallen, and thus “sharply limited in what we can achieve” in relating to cultures alien to our outlook. Immigration, likewise, should be pared back not merely for its impact on the economy but for its impact on our civic system. Ours is a system not universally compatible with every other culture on earth. This outlook found expression in the restraint of William Howard Taft and the perspective of Calvin Coolidge. In the third, American exceptionalism is approached as a propositional exercise. It is best represented, though not exclusively, by Senator Rubio. The propositions America expounds are not only true, but should be brought to the whole human race. In this outlook, America must do more than simply stand as Lady Liberty but rather to go and make disciples, exporting democratic government systems around the globe. Called “neoconservatism” it has been the prevailing view for some time. Hence, welcoming Syrian refugees or sponsoring Amnesty corresponds with this vision as America’s transformative ideals remake the world. As Zmirak points out, however, this idealism (lost in its own heady optimism) seems to feel that America is somehow immune to transformation itself by the ideas and habits of those who come here. It works with the belief that American ideals are just too dynamic and self-contained to be so influenced. As it mobilizes in foreign policy, this outlook always opens the ongoing crusade of regime change. Anything less, it is argued, would “admit defeat of our ideals…surrender our national mission and plunge into moral relativism — suggesting that liberty is only available to certain countries and cultures, especially those with a Christian, or even an Anglo-Protestant heritage.” In the end, it must acknowledge the merits of the limited foreign policy of traditional constitutionalism. This is rarely done, though, before committing America to a course of unbounded aspirations and expensive dreams that making the world safe for democracy will finally work… this time. The singular focus of Woodrow Wilson, the unconstrained experimentation of FDR, and the hopeful nation-building of George W. Bush all animate this outlook. Zmirak concludes that the differences of each worldview are significant and most importantly, they do matter. What the future holds will be directly attributable to whether these distinctions have been fully discussed and carefully considered, or hastily blurred and dismissed. If wisdom is to prevail at the ballot box (and thus good government to return), voters must see that these are three very different choices. This is a trinity not created equal. 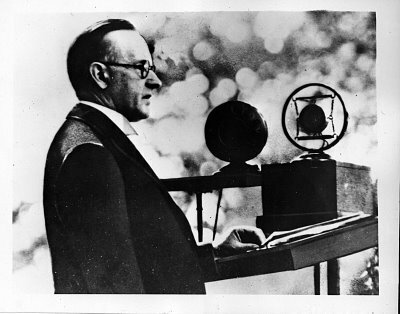 While we find the comparison to Mr. Coolidge to be less precise than with the other two candidates, especially Trump and Jackson, it is good to see Coolidge’s ideas rekindling a timely and useful discussion. 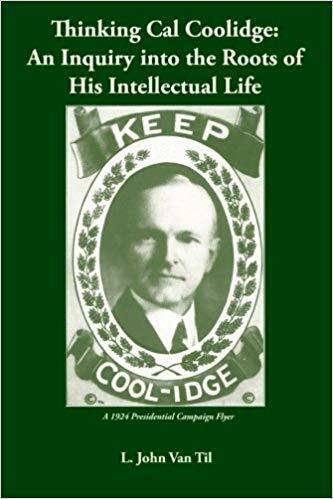 It is a welcome sign that, through it all, the moral courage and political wisdom of Calvin Coolidge are respected assets once more, not liabilities, to the decision we must face.